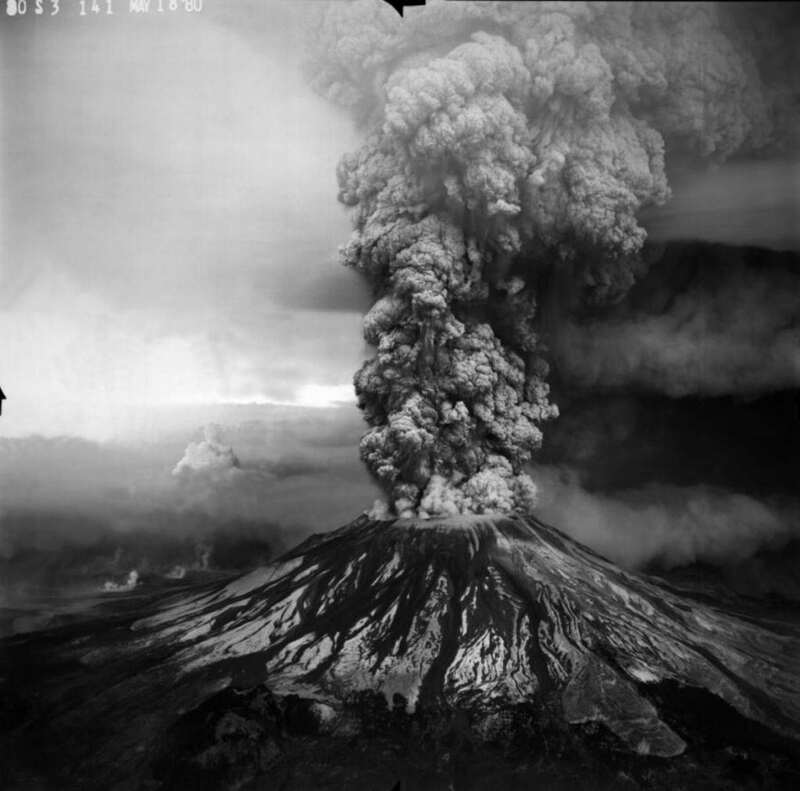 The eruption of Mount St. Helen’s in Washington State on May 18, 1980, made a huge impact on America and the views of so many people about how long it actually takes for natural disasters to do their damage! This beautiful volcano was 9,600 feet above sea level until it erupted and lost about 1,000 feet of it’s top! Talk about blowing your top! She certainly did! The bulge on the north face of the mountain lateral blast blew away *1,306.8 feet of the volcano! A volcano is not just a puff of smoke and hot lava that gradually and gracefully melts down the mountain’s rocky walls, it’s pent up magma rises to the top. Magma is formed by the earth’s mantle melting! If the magma is too thick then the gas bubbles cannot get through it and the pressure builds and builds as the magma begins to rise. The pressure becomes so intense that the explosion occurs because the gas has to release! *57 people died during this event! One of them was Volcanologist David A. Johnston. Another was 83 year old Harry who refused to leave his lodge when the mud and snow avalanche covered it completely. These people were not prepared to face death so suddenly! The earthquake and rock slide alone involved one-half cubic mile of rock! To get an idea of how much space that is, all the people in the world can fit in 1 cubic mile of space! That’s a lot of damaged property! As the summit and north slope slid off the volcano that morning, pressure was released inside the volcano, where super hot water immediately flashed to steam in the air! The northward-directed steam explosion released energy equivalent to 20 million tons of TNT, which toppled 150 square miles of forest in 6 minutes! That’s 60,000 acres! Most people don’t even live on one acre of land! Meanwhile, north of the volcano in Spirit Lake, an enormous water wave stripped trees from slopes as high as 850 feet above the pre-eruption water level! Mt. St. Helen’s left layers of strata up to 400 feet thick since 1980. What is so important about this observation of strata layering so fast, is the importance of Geological events harmonizing with what God told us about the flood of Noah. Many scientists used to believe that it took millions of years for the different rock layers to form. Mt. St. Helen’s showed scientists that 400 feet of rock layers can fall into place in just a short time!
. Helen’s shows us a mini version of the effect and how fast that a chaotic event can happen! And most importantly, that it doesn’t take millions of years! Lesson: Mount St. Helen’s teaches us that the stratified layers commonly characterizing geologic column with different layers meaning different ages is inaccurate because they can form very rapidly by flow processes. After this volcano erupted, scientists found something amazing! A tiny canyon that is one fortieth the scale model of the Grand Canyon! With the little Toutle River and small creeks that flow through it, Geologists could easily tell you that the rivers carved the canyons over millions of years like they explain away the Grand Canyon’s origin. But the truth is that tons of water, hot magma, and volcanic activity caused it in just a matter of a very short time. This is very life-changing in our observations that a mini Grand Canyon formed in such a short time due to the volcano eruption. This means that it challenges the belief that the Grand Canyon was formed over millions of years by the Colorado River because we observed a canyon form in a very very short time! Let’s look at Yellowstone National Park! 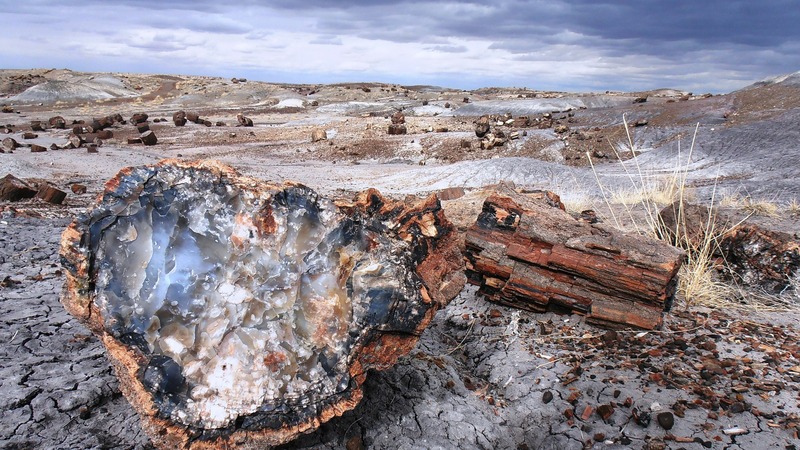 There, people will see a bunch of petrified logs and many will tell you that they were millions of years old. Mt. St. Helen’s shows us that logs can petrify in an upright position in watery elements very quickly! Once again this challenges millions of years for scientists. The landslide from the volcano caused Spirit lake to go crazy with ginormous water that stripped the forests of trees and all the logs flowed into the lake and logs float! Imagine millions of logs piled into the river! 2 square miles of the lake’s surface. Then these logs slowly sank to the bottom. 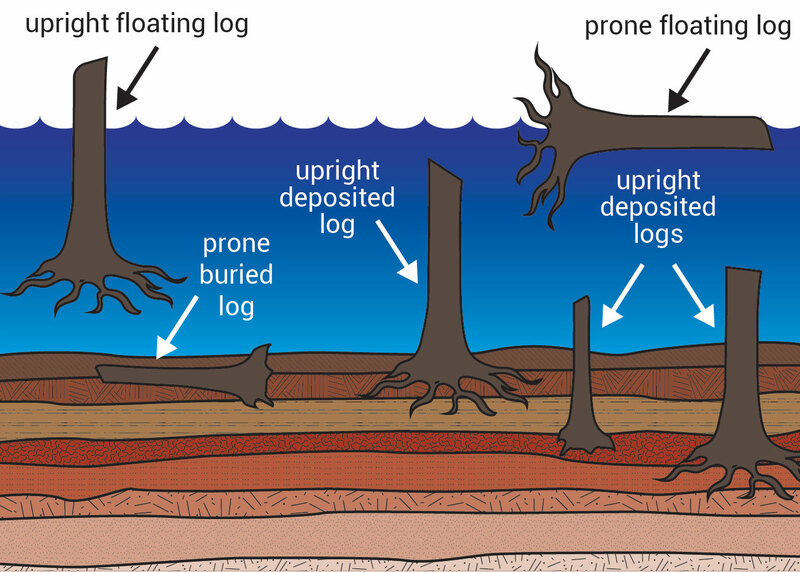 A lot of these logs floated weight down, meaning the root systems would point straight downward causing them to vertically stick into the mud, and some even floating in an upright position. They eventually got stuck in mud and shallow water standing up. 19,000 upright stumps existed on the floor of the lake in August 1985! The average height of an upright deposited stump is 20 feet. 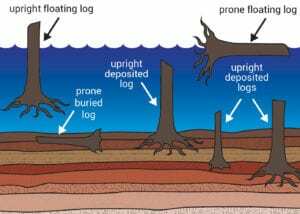 As mud etc had piled on top of them, just like we observe Yellowstone’s petrified logs, we would think we had found an underwater forest! When secular Geologists look at this, they would most certainly say that these trees in Spirit Lake grew there over hundreds of years, which is the standard geological interpretation for the upright petrified “forests” at Yellowstone National Park. But because we observed the effect of the volcano throwing thousands of logs into the lake, they would be so mistaken! We know that this was simply evidence of a fast volcano! This also means that Yellowstone National Park is also a huge example of a massive flood that happened quickly. Not a process over hundreds and millions of years!